Mold, bacteria, viruses and allergens are a concern for many homeowners. 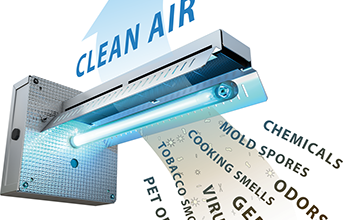 If you are concerned about your indoor air quality and are thinking about air purification systems, look no further. Butler Air Solutions offers APCO Purifiers which will significantly improve the quality of air throughout your home. We are EPA certified and certified indoor air quality investigators. This high quality service can’t be found everywhere. According to the EPA, indoor levels of pollutants may be 2 to 5 times – and occasionally more than 100 times – higher than outdoor pollutant levels. Indoor air pollutants have been ranked among the top five environmental risks to public health. Enjoy fresh air all the time.